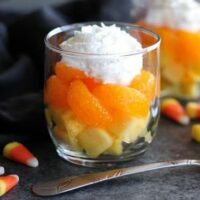 Healthy Candy Corn Treat - Dessert Now, Dinner Later! 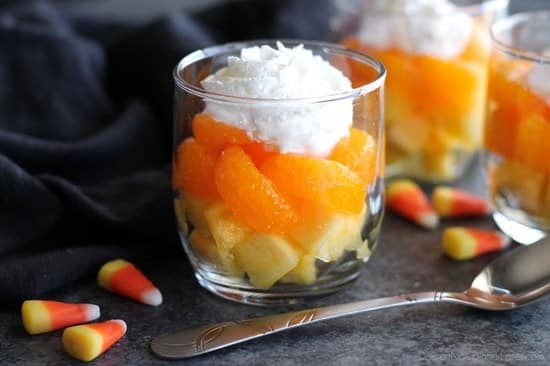 These layered fruit parfaits are a fun and festive, healthy candy corn treat for Halloween! 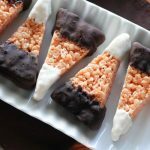 When Halloween rolls around, I know my kids will be getting and eating loads of candy, so I thought it would be fun to share a healthier halloween treat that is still festive and cute! 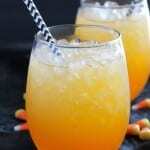 These healthy candy corn treats are fun and (mostly) naturally sweet. 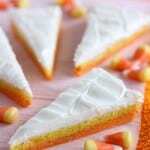 If you play around on my website, you’ll see that I like to make foods that look like candy corn. 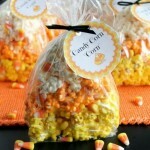 Just check out my Candy Corn Popcorn Treats, Candy Corn Sugar Cookies, Candy Corn Punch, and Chocolate Dipped Candy Corn Rice Krispie Treats. The funny thing is, I don’t even like candy corn — the candy! 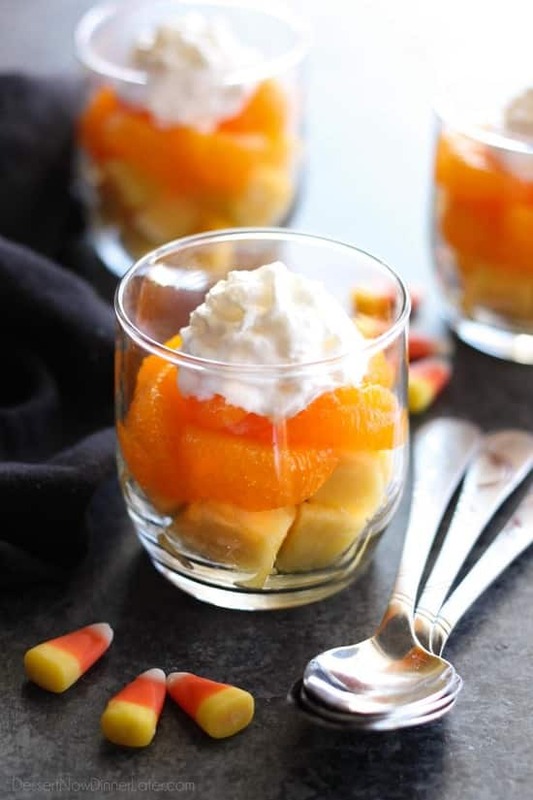 It’s just an iconic Halloween treat, and the colors are so vibrant and pretty, so I go crazy mimicking candy corn in desserts. 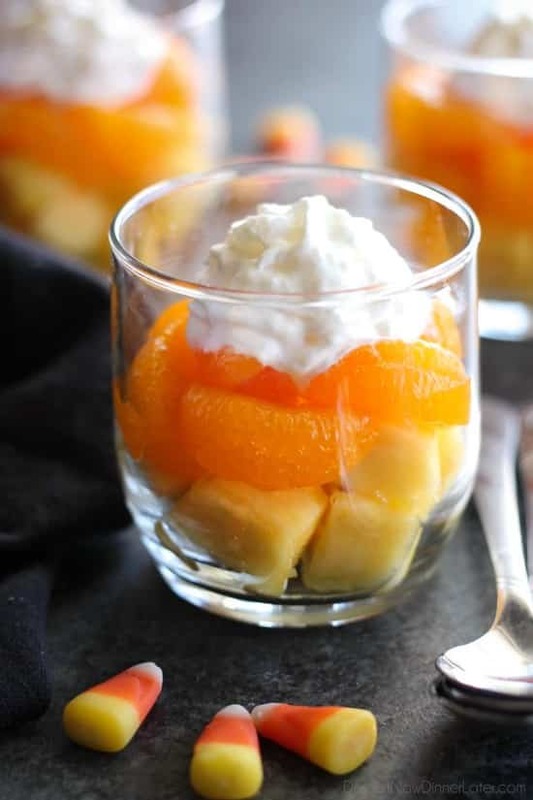 In a clear plastic or glass cup, layer the fruit parfaits with pineapple chunks on the bottom, mandarin orange segments in the middle and a dollop of whipped cream on top. Serve immediately. You can refrigerate the parfaits ahead of time, just wait to add the whipped cream until just before serving.